In contrast to Bill Cowher, during Mike Tomlin’s tenure, the Steelers have looked to running back earlier and more often in the draft having used 3 premium picks on running backs. Will that trend continue or, perhaps better stated, should that trend continue in the 2016 NFL Draft? Although he finished 2015 on injured reserve, Le’Veon Bell will enter 2016 as the Steelers starting running back, and if Art Rooney II’s statements are any guide, the Steelers will look to lock him up to a long-term contract. Such lofty visions must be tempered with the reality that the shelf life of running backs in the NFL is short and continues to grow shorter, and Bell has already missed 16 of a 51 possible games to injury, including 3 playoff contests. The Steelers have confidence in Bell’s ability to recover, but on the outside that looks like a leap of faith. While it almost seems quaint to acknowledge a fullback as a “starter” the Steelers chose undrafted rookie free agent Roosevelt Nix over Will Johnson. A year ago the Steelers signed DeAngelo Williams as an insurance policy, and many were skeptical that a 32 year old NFL running back coming off an injury and with 1432 carries on his frame could deliver. Those skeptics were dead wrong. DeAngelo Williams had his best season rushing since 2009, and showed himself a dangerous double threat, not only did Williams do damage on the ground, but he also gave Ben Roethlisberger an enticing target underneath.. Williams almost literally saved the season. In late November, the Steelers made a curious move – they activated a guy named Fitzgerald Toussaint from their practice squad. This came before DeAngelo Williams injury, and after Mike Tomlin had assured reporters he would not attempt to groom an understudy for Williams. The move came shortly after the Ravens put Justin Forsett on season ending IR and activating Toussaint looked like a proactive move to protect him from practice squad poaching. When the playoffs arrived, Toussaint vindicated the Steelers faith in him as he collected over 120 all-purpose yards in the playoff win against the Bengals. For the record, the Steelers also have running backs Abou Toure, 2015 practice squader Rajion Neal and Daryl Richardson who has experience with the Rams and Browns. 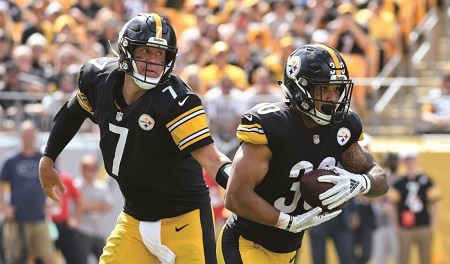 Running back is one slot on the depth chart where Steel Curtain Rising’s analysis likely differs from much of Steelers Nation and likely Kevin Colbert and Mike Tomlin. The Steelers have now been forced to start their 4th string running back in three consecutive post-season contests. OK, 2014 is somewhat of an aberration, as LeGarrette Blount’s insubordination and Dri Archer’s total failure couldn’t have been foreseen, at least not while something could be done about it. Yet, in 2015 the Steelers essentially chose to enter the season with a running back’s depth chart that was two backs deep. By season’s end, both Bell and Williams were hurt…. Sure, Jordan Todman and Toussaint played well, but do you really want pin post season hopes practice squaders and waiver wire pickups? Sure, the days when the Steelers staffed their depth chart with three or four quality running backs may seem like an anachronistic memory of a bye gone era, but it’s no secret that the Steelers won their last Super Bowl with a depth chart that went Willie Parker, Rashard Mendenhall, Mewelde Moore, Gary Russell and Carey Davis – all of whom were on the opening day roster, and all of whom were at “Above the line” ball carriers. It says here that drafting running back in the first round would be a mistake. Drafting one in the second round might be too high as well. 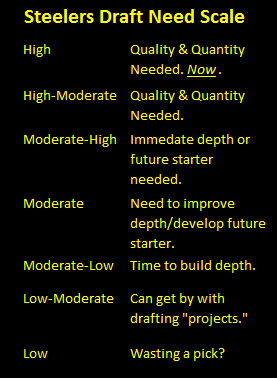 But the Steelers have rolled the dice on running back depth in two straight seasons and it has cost them in two straight post seasons which means that the Steelers 2016 draft need at running back must be considered Moderate High. The depth of the Steelers backfield is a bit thinner today, after it was announced on Friday that reserve running back Jordan Todman signed a deal to play with the Colts next season. As far as free-agent defections go, this one shouldn’t sting the Steelers. 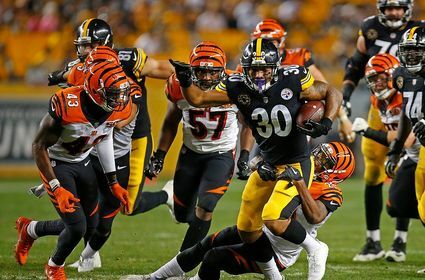 Fact is, with All-Pro Le’Veon Bell and accomplished veteran DeAngelo Williams as the first and second-string running backs heading into 2016, there wouldn’t have been many hand-offs available for Todman–and that’s if he could have beaten-out the promising Fitzgerald Toussaint for third-string on the depth chart. After arriving in the NFL in 2011, Todman, 26, had brief stays in both Minnesota and San Diego during his rookie season, before landing in Jacksonville in 2012. In three seasons with the Jaguars, Todman rushed for a combined 450 yards and scored three touchdowns. After signing with the Panthers last offseason, Todman was cut right before the start of the regular season, and the Steelers quickly added him to their roster. After only rushing for 22 yards during the regular season, Todman was suddenly thrust into action during the playoffs, when DeAngelo Williams, who rushed for 907 yards in place of the first suspended and then injured Bell, suffered a severe ankle injury in Week 17. Teaming up with fellow reserve running back Toussaint, Todman rushed for a combined 71 yards in two postseason games, as Pittsburgh advanced to the divisional round. A journeyman and career backup up to this point of his career, maybe Todman will finally find a way to contribute extensively as a member of the Colts. Steelers Free Agent Jordan Todman – The Last Free Agent Profiled, but Is He the Least? Wavier wire pickups are normally ho-hum affairs. Then there’s Steelers free agent Jordan Todman. He’s special. Why? Because Kevin Colbert’s decision to pick up Todman off of waivers sparked a major emergency in Steelers Nation. Yet in a few hours, Jordan Todman will be an NFL free agent, and yet there’s been barely a whimper out of Steelers Nation as to whether stays or goes…. September 7th, 2015 a day that will live in infamy for Steelers Nation…. …Unless it doesn’t. What the hell are we talking about? Well here’s a refresher. On September 6th, Mike Tomlin and Kevin Colbert released the Steelers initial 53 man roster and the entire Steelers 2015 draft class made the team, save for 7th round safety Gerod Holliman. Then Pittsburgh’s South Side experienced its own Pearl Harbor…. Kevin Colbert found a running back he liked and signed him from the waiver wire. Yet, after all the sound and fury, the Steelers added Todman to their backfield, and there he remained in relative anonymity. Le’Veon Bell began the season suspended, DeAngelo Williams ran strong in his place, Bell got injured, Williams continued to pick up the slack, Dri Archer got cut, Williams continued to carry the Steelers running game on his 32 year old legs. It didn’t matter. Todman remained on the bench. Then of course came the Steelers regular season finale vs. Cleveland Browns, where DeAngelo Williams got hurt. The Steelers didn’t need to rush much to beat the Browns, but suddenly, the Steelers were down to their 4th and 5th running backs, and the playoffs were a week away…. In the Steelers playoff win vs. the Cincinnati Bengals, Jordan Todman his first taste of the NFL post season, and he did not crack. Far from it. The Steelers handed the ball to Todman 11 times, and he gained 65 yards and generally ran the ball strong. In the playoff loss to Denver, Todman didn’t fare as well, but there’s a reason why Denver defense powered the Broncos to a Super Bowl victory. The 2015 Cincinnati Bengals defense will not go down alongside the Four Horseman, Monsters of the Midway, or Purple People Eaters but they have the NFL’s 7th best rushing defense. While 11 carries does not a Merril Hoge’s vs. Denver inspirational performance make, getting 5.9 yards per carry in your first NFL playoff game is respectable. Moreover, Todman has experience, having made over 100 carries before coming to Pittsburgh. The Steelers opened the season with a backfield that was two players deep in 2015 and it hurt them, Todman shows that he can be a viable insurance policy. Just about every time Todman entered the game during the playoffs, teams would know he was going to run because they couldn’t put him in a position to pass-block. Todman put up great rushing numbers with his touches but the staff doesn’t trust him to block, and rightfully so. Antonio Brown, Martavis Bryant, Markus Wheaton, Darrius Heyward-Bey, and Sammie Coates look to give Ben Roethlisberger and incredible arsenal of weapons in 2016. 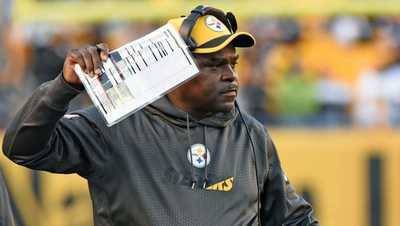 But if there’s one thing that the Steelers offense could not, and should not allowed to become it is one dimensional. And when a player, by default, telegraphs whether it’s a pass or running play, your offense is one dimensional. This would be true under normal circumstances, but Heath Miller’s retirement heightens the importance, because Heath Miller caught the ball 72% of the times it was thrown to him, making him an incredibly reliable target regardless of the situation. Nothing personal Mr. Todman, this is a business decision. Jordan Todman’s performance in the playoffs vs. Cincinnati confirms that Kevin Colbert gamble of exposing a 4th round pick to the waiver wire to sign him was a wise one. But Matt Steel’s point is also quite valid. The Steelers are in a good position with Todman. No other NFL team is going to rush to sign him this afternoon when he can officially join another team. Nor is Todman going to come in the second wave of free agent signings. There are some NFL free agents that teams can wait to sign, usually up until or even after the draft. That’s the category that Todman fits into. 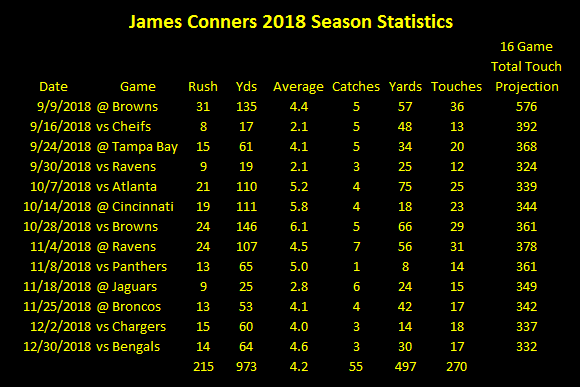 The Steelers have the luxury of looking around the league for someone else to challenge Fitzgerald Toussaint for the 3rd string running back slot. They can even consider drafting someone. And if neither of these two things work out, there is a strong chance Todman will still be looking for a job in late spring or early summer.